Although President Muhammadu Buhari has not declared his intention to seek re-election in the 2019 general election, there are indications that some of his core loyalists and appointees have started putting up machinery in place to ensure that he not only contests the election, but also emerges victorious. And they are also mounting pressure on the President to make sure he does not decline to run. All that became clear recently when the Minister of Women Affairs, a loyalist of former vice president Atiku Abubakar, openly declared that she would be supporting Atiku in 2019 and not President Buhari, who appointed her into his cabinet, if both men choose to contest the presidential election. Alhassan’s declaration set the stage for the debate on whether Buhari should seek re-election or not in 2019, especially against the backdrop of his state of health. The President had gone on medical vacation four times since assuming office on May 29, 2015. He embarked on a six-day vacation in the United Kingdom between February 5 and 10, 2016. On June 6, 2016, he embarked on another 10-day vacation to attend to what the Presidency described as “persistent ear infection.” The President returned to Nigeria on June 19, 2016 after spending 14 days in London. But he again left the country on January 19, 2017, for another medical vacation and returned on March 10 after a 49-day medical sojourn, disclosing that he had never been that sick in his life. After being absent from some public events, including three consecutive weekly Federal Executive Council (FEC) meetings, Buhari again on May 7 returned to London for medical consultation, making it the second time he proceeded on medical leave this year. He returned after 104 days amid heightening calls and protests for his resignation. Many political observers in the country have advised the ruling All Progressives Congress (APC) against drafting the President into the 2019 presidential race for a second term in office on account of his ill-health. Those that hold this view believe that the party would lose the 2019 presidential election should it present Buhari as its candidate. But Buhari’s loyalists would take none of that; they want their principal to throw his hat into the ring in spite of the perceived odds. Soon after Alhassan’s declaration, Kaduna State Governor, Nasir El-rufai revealed that governors and ministers under the ruling APC were working underground to ensure that Buhari contests the 2019 presidential election. El-Rufai, who made this known to State House correspondents after a closed door meeting with the President in the Presidential Villa, Abuja, penultimate Friday, said the governors and the ministers had resolved to draft the President into the race as members of the “Buharist Group”. The “Buharist Group”, according to him, is an association of APC governors and ministers, whose primary aim is to promote and defend the perceived socio-political interests of President Buhari. He dismissed the assertion that he was being groomed to replace Buhari in 2019. He stated that as a member of the “Buharist Group”, he had no presidential ambition as being speculated. “My name has continuously been mentioned as a presidential aspirant since 2007 after my years in the FCT; there is nothing new about that…As far as 2019 is concerned, my position is the President is looking very well; he is recuperating very fast. My hope and prayer is he will contest in 2019,” El-Rufai said. Senator Ibikunle Amosun, the Ogun State Governor and Buhari’s long time political ally: “The only thing that can prevent President Muhammadu Buhari from contesting is if his health cannot take it. If not for this present administration, only God knows where Nigeria would have been. When the government came on board, it was like jumping into the pool at the deep end. Alhaji Yahaya Bello, Kogi State Governor: “Nigerians still need Buhari beyond 2019 to consolidate the gains of the past two years. Nigerians have seen why this nation was messed up for many years with institutionalised corruption, institutional failure and absence of visionary leadership. 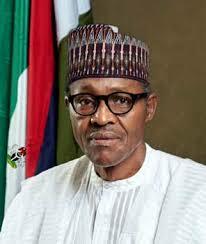 The present administration has restored the confidence of the international community in Nigeria. John Odigie-oyegun, National Chairman of the APC: Oyegun was recently quoted as saying he would beg President Buhari to seek re-election in the 2019 general election. When told that Nigerians were disappointed with him over the comments because of the state of health of the President in a recent interview with a national newspaper, he said: “This is a free country. I have my views and I have expressed them. Why do I say so? I said so because the main gift President Buhari is giving to this country is what he represents and that is his absolute integrity. What Nigerians should aspire to be, the kind of country that we want Nigeria to be, a country where a man’s yes is his yes. A country with leadership that treats with respect public resources; a nation that is disciplined; a nation that is not wallowing in indecent corruption that we have today that is making one ashamed. That is what Buhari represents. Preye Aganaba, founding member of APC, Bayelsa State and a member of the party’s presidential campaign council in 2015: “If President Buhari runs for election today, he is going to win. I don’t think the President is as ill as the cynics are trying to sell. Like every other human being, he can fall sick. The problem is that because he is in government and he is President, there are lots of stories. But he is back and healthy. I don’t think that for now the APC has any other choice than to field him. People are free to contest the primary, of course. Comrade Wilfred Frank-Ogbotobo, Coordinator, South-South Legacy Forum (SSLF) and former chairman of the defunct Congress for Progressive Change (CPC) in Bayelsa State: “Nigerians are impressed with President Buhari on the exemplary leadership and courage he has demonstrated, without pretence, to inspire the country to confront the reality of our situation, just like other great nations have done in their time. Presently, Nigeria is walking the path to become a nation of serious people, conscious of the responsibility and the strength expected of their humanity. “President Buhari has inspired a silent spiritual awakening. A wave, compelling fundamental adjustments, has set in. Though, the material sacrifices and hardship accompanying these adjustments are excruciating and tough, there is also the dawn of realisation that these circumstances are the result of the false perceptions and lifestyles we allowed ourselves to be led into cultivating over the years.